‘Easy Rider’ is unquestionably important, it’s a seminal film. It was a large contributing factor to the birth of ‘New Hollywood’, an era of burgeoning talent and art that produced many of the greatest films ever made. Easy Rider is a transgressive, political film; few creations have been so lauded for capturing the zeitgeist. However, to a modern audience, I feel it’s more of an artifact than a film. To be frank, I didn’t particularly enjoy it. I didn’t find it that interesting, it didn’t resonate with me that much. One connection it made with me was how it almost shattered that romanticised idea of riding the highways of America. Well, it didn’t shatter it, but it certainly shows the potential emptiness of the experience. However, I’d still love to drive around America, but I’d gladly ditch the spirituality for clean hotel rooms and nice corpulent plates of Americana. I’d also prefer a muscle car. 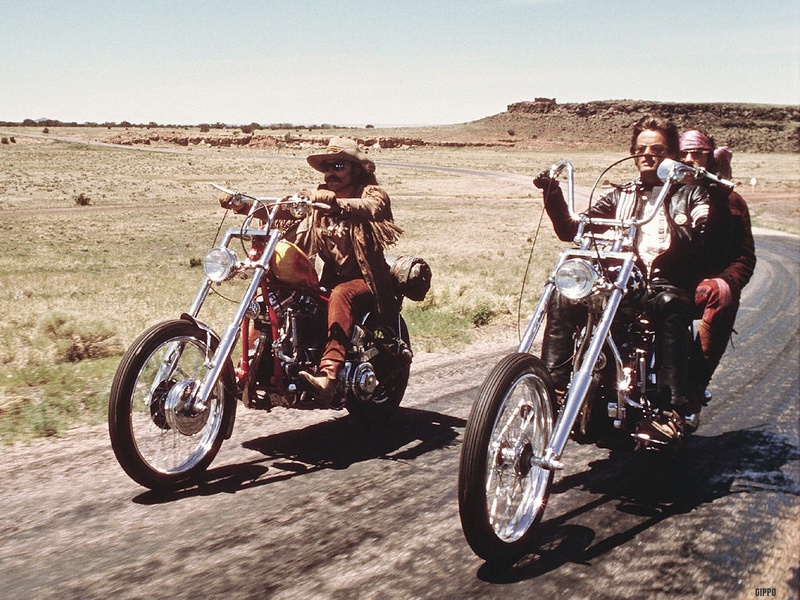 So, given its legacy, ‘Easy Rider’ is a hard film to judge. It would be ignorant of me to totally trash it, but I do think it’s overrated, and I certainly wouldn’t recommend it to casual viewers.